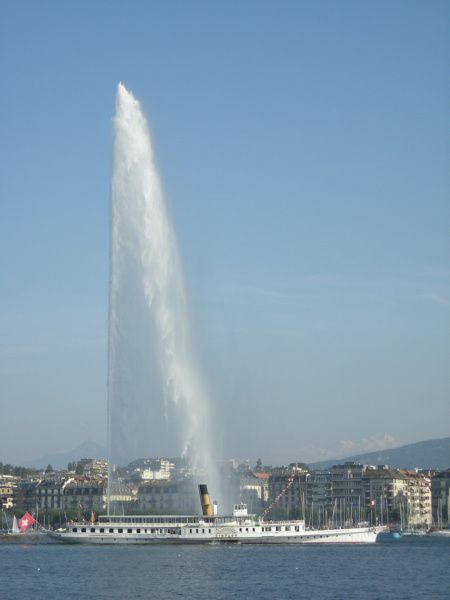 Geneva is in Switzerland. Or is it in France ? Or is it in both ? Sitting at the head of Lake Geneva the city is wedged firmly between two French departments. Everyone cheerily speaks French (apart from the international community) and the shops are full of French-style goods (clothes, boots, cakes). However the give-away is the toilets – they are clean and they work – so it can’t be France. It is in fact Switzerland. But the frontier is never more than a walk or a paddle away making cross-border public transport a matter of course. Even though a sizeable part of the Geneva conurbation is in France, there are only two major cross-border city services. 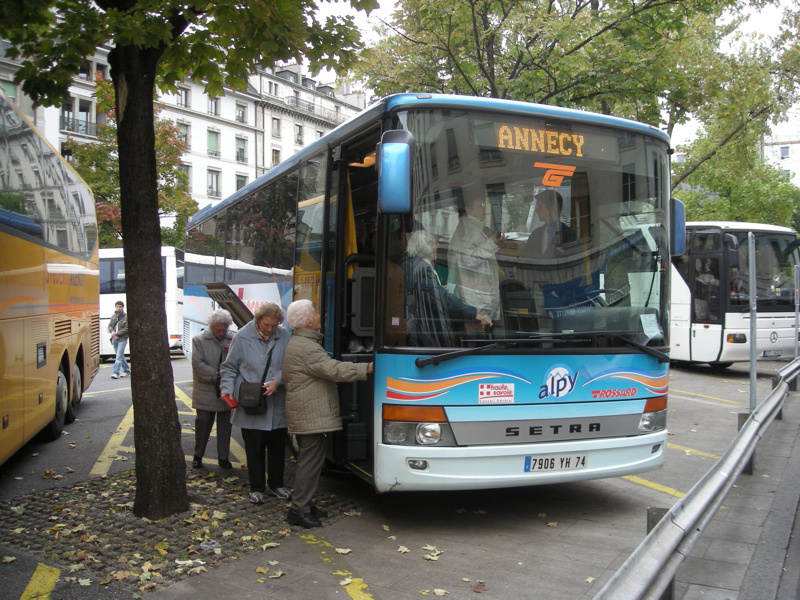 One of the services is route D operated by vehicles licensed in France. 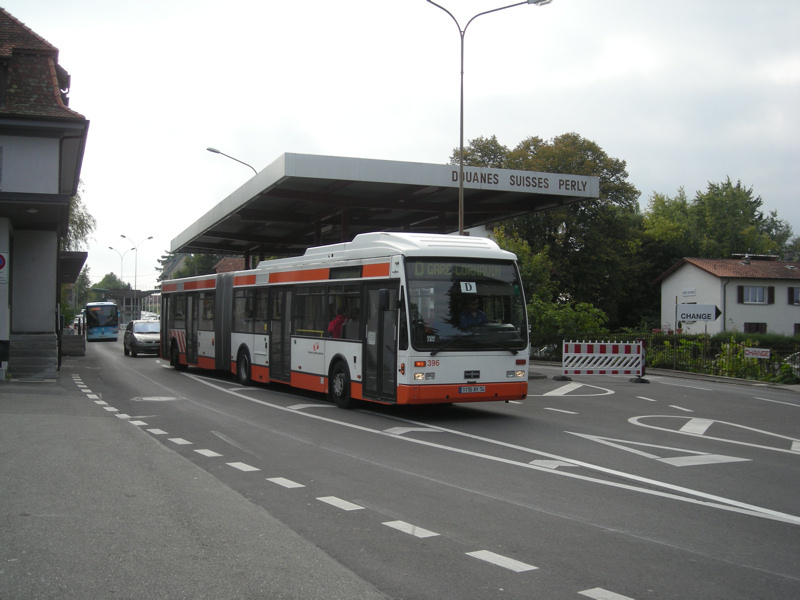 The remainder of the city services are either operated entirely within Switzerland or within Ferney Voltaire, the French suburb of Geneva. 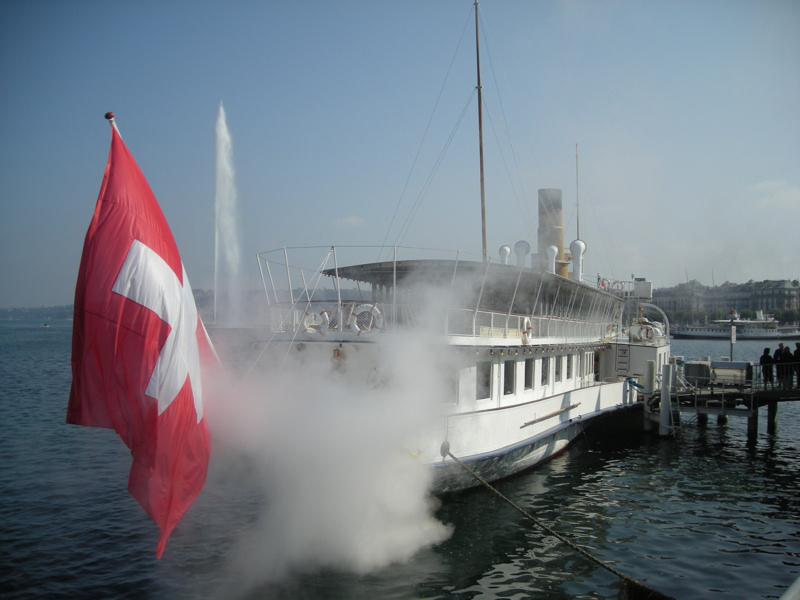 Switzerland does not have exclusive rights to breathtaking lakes. 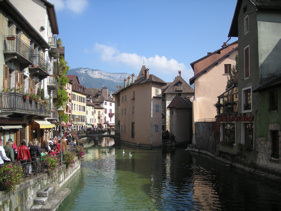 Just down the road in France (actually over the hill really) lies Lake Annecy, a beautiful and serene spot. 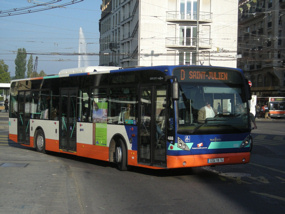 The town of Annecy itself is connected to Geneva by a regular bus service run by Autocars Frossard who are based in France. 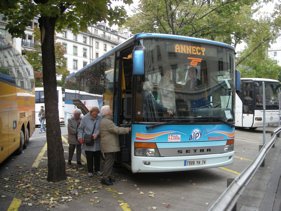 Surprisingly, as well as using it as a link between the two centres, many people make local trips between the towns and villages on the route. There are many inter-city, cross-border rail services through Geneva due to the geographical situation of Switzerland within Europe (it’s near the middle). Additionally there are several local services operated by SNCF (French railways). 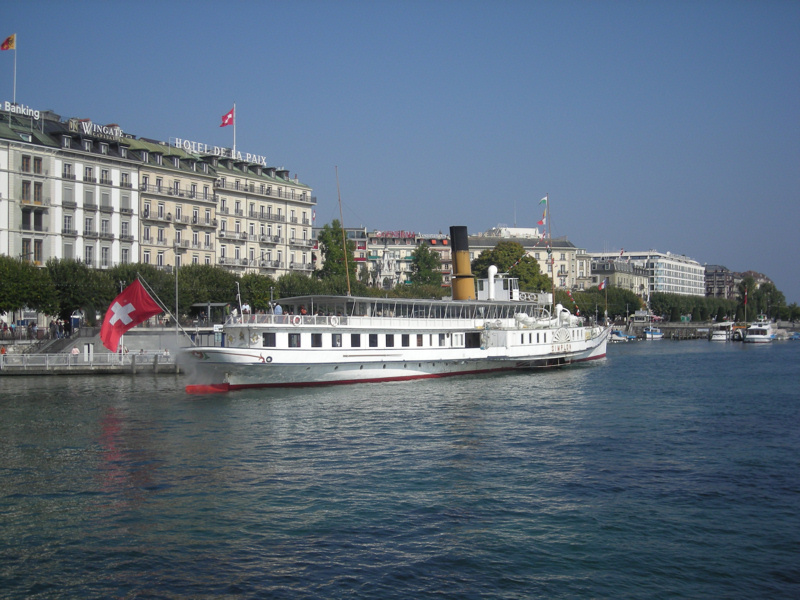 The crescent shaped Lake Geneva lies half in each country. 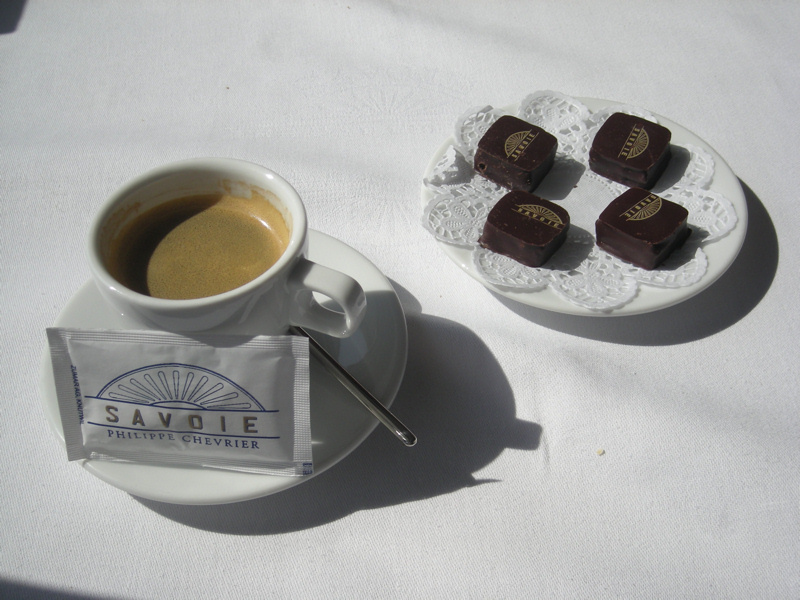 On the northern shores are Geneva, Lausanne and Montreux in Switzerland and on the southern banks there is Evian in France. 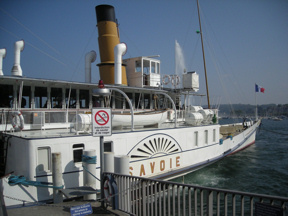 Paddle steamers operate services from end-to-end and also provide short tours and lunchtime cruises. 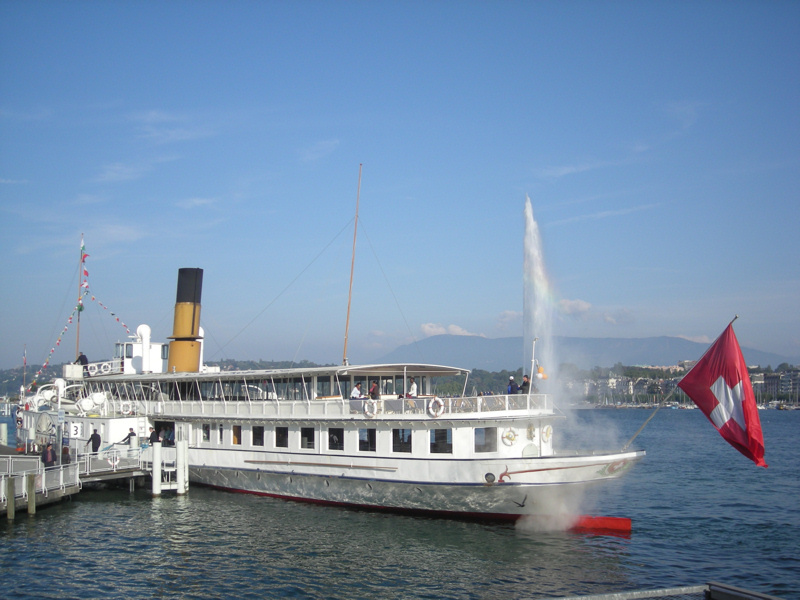 Being more than a hundred years old in some cases, these fine vessels make an impressive sight especially when framed by Geneva’s famous jet d’eau (water jet) and France’s famous mountain (Mont Blanc). All photos taken in Geneva and Annecy on weekend of 27 September 2008. Communaute de communes de Genevois operate line D. TPG 396 (1176XY74), a Van Hool artic, is seen crossing the border into Switzerland from France at Perly. 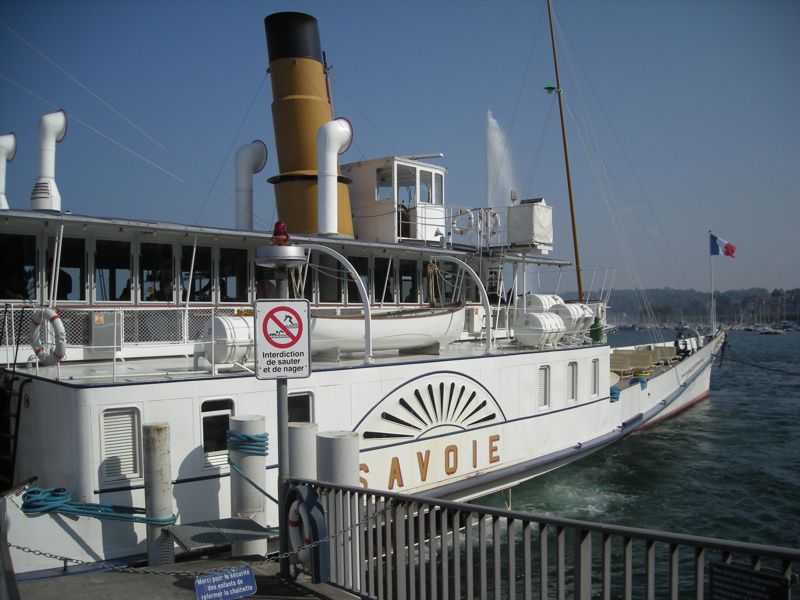 Simplon and Savoie paddle steamers from CGN, on a perfect autumnal day on Lake Geneva. Not so much, a restaurant, more of a tea room really. Very posh, very expensive but very worth it. 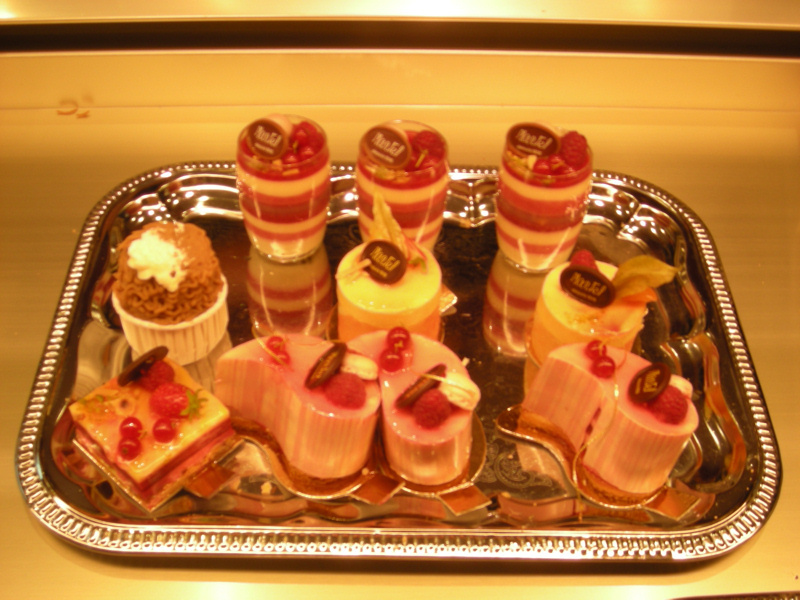 Fine chocolates and cakes presented beautifully.